If you frequently feel tired and bloated, Gluten free for Eating for Sustained Energy is for you. 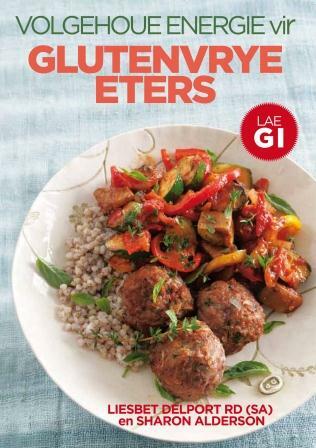 It was written in response to a genuine need among Liesbet and her collegue’s patients and people like Sharon’s need for a practical and easy way to use slow release carbohydrates in every day meals that are also gluten free. 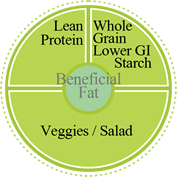 The glycemic index (Gl) is a physiological measure of how a carbohydrate food affects blood glucose levels. It is an exciting nutritional tool, working best to regulate blood glucose levels, resulting in sustained energy all day long. The more Sharon implemented it herself and Liesbet implemented it among her patients, the more they realised how much of a beneficial impact it had on Liesbet’s patients and Sharon’s own health. Not only does using the GI markedly improve blood glucose control in those with diabetes, it also helps to curtail hunger in slimmers and those who are gluten intolerant, combats fatigue, regulates blood glucose levels of children with concentration problems, enhances performance of sportsmen and -women, lowers triglycerides in those with raised blood triglycerides, and prevents the over-secretion of insulin in those suffering from hypoglycemia and hyperinsulinemia, combating high blood pressure and longstanding excessive weight. In short, everybody should know how to use the GI as a means of attaining optimum health and help prevent lifestyle diseases, which can lead to an energetic life. 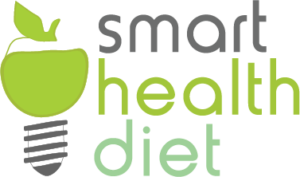 Liesbet Delport is a registered dietician, a founder member of the Glycemic Index Foundation of South Africa (GIFSA) and a partner in a successful private practice in Nelspruit. She has been involved in GI research since 1998, and has a Master’s degree from the University of Pretoria. She has co-authored nine nutrition-related books since 2000, and has written articles on various aspects of nutrition for magazines and scientific journals. She regularly presents talks and lectures on nutrition to both her peers and the public, nationally and internationally, and has been interviewed on radio and television. Liesbet is married and has two daughters. She loves mountain biking and plays keybord in a band. 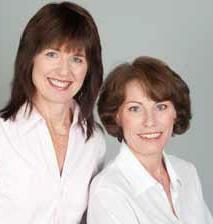 Sharon Alderson, a former patient and now friend of Liesbet Delport, was extremely ill with undiagnosed Celiac disease for five years. She went to eight specialists who could not diagnose her condition and was given yet another script for more medication. Eventually, by the time she had malabsorbtion syndrome as well, she was correctly diagnosed in June 2007 by specialist number 9. She developed many gluten free recipes and now that they have all been transformed into a healthy, tasty alternative to the characteristically high GI gluten free diet, Gluten Free for sustained Energy was born. Sharon enjoys tasty healthy food, but was stumped on how they should be gluten free too. Sharon is a paramedic in Nelspruit and enjoys mountain biking, cooking and baking. She is married and has a son and a daughter. You can order a Afrikaans or English copy directly from GIFSA!